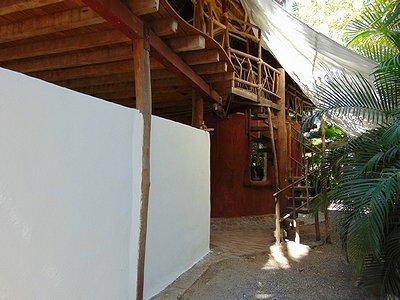 Tree casita is a uniquely designed 2 floor cabanita with a first floor entirely made of cob, situated next to the mangral , surrounded by nature, 5 minutes walk from the beach (Q-4 on the map). It is destined for a couple. 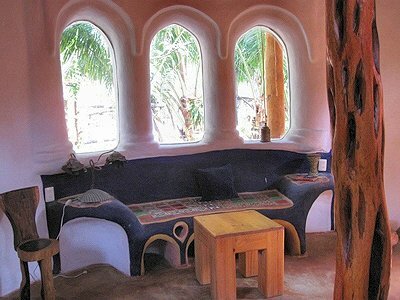 The first floor is a round small kitchen-livingroom area with an original cob made sofa, comfortably furnished. 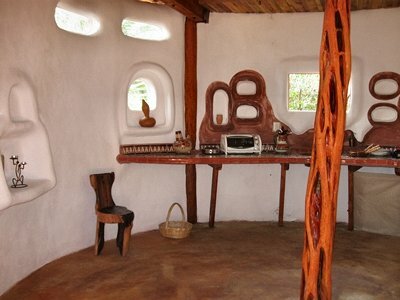 Included is small refrigerator, stove, eletric mini oven, and kitchen accesories. 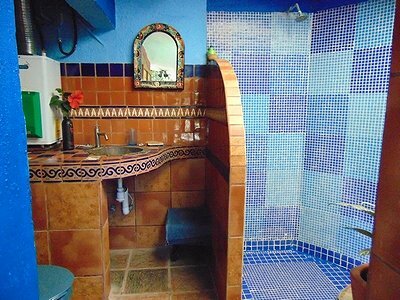 Attached, is a batroom with shower.